Designed and made in Canada by a government and army that understood that military and industrial strength were interdependent and that real sovereignty has a price. They never saw combat as designed but they were probably better then the Sherman (which I know is not saying a lot) that was used instead. I like them because they’re Canadian. 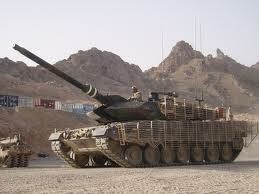 This tank was really a one off, an experimental model, that didn’t really work that well. It influenced a lot of other tanks that didn’t really work that well (see Russian T-35). But it speaks to every kid who ever imagined a giant, land going battleship. It was a bolo before it’s time, with multiple turrets and the mission of going it alone on the battlefield against all comers. I like it because it’s different. 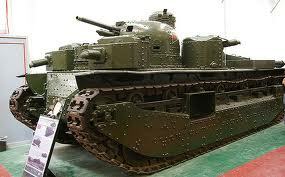 The Valentine tank (weirdly cool name, origins uncertain) was the only half-decent tank the Brits had at the beginning of WWII. It was capable of taking a lot of modifications and changes which is always the sign of a good design. They built a lot of them, so did we, most went to the Russians who were happy to get them. 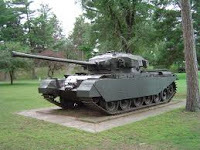 Not a great tank, but a good tank that could do the job when it was needed. Maybe it’s their small, human sized dimensions or maybe it’s that they were built in Canada, but I like them. This is it, probably the best tank going. With its long 120mm gun, heavy armour, huge engine and great fire control it may be better then any other tank in the world today. The Germans are having a fire sale on used tanks, they figure they won’t need them (hope they’re right) and they can corner the market on spares and maintenance for the future. In the meantime we should buy at least another fifty or so while the buying is good because in case nobody has noticed, they aren’t making tanks anymore. I like them because they’re good.